Marbella is a world famous, luxury holiday destination, and has attracted royalty, and the rich and famous since the 1960s. 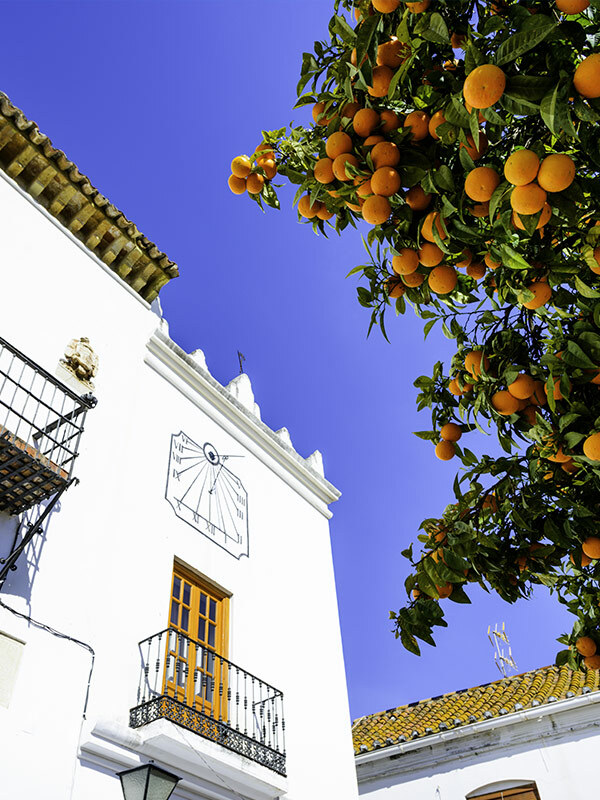 The beauty of Marbella, is that is has retained it´s Spanish traditions, whilst embracing international culture. It´s ´Micro-Climate´ also guarantees fantastic weather, that often allows winter sun bathing! Culturally, there are many attractions in Marbella, from fine dining, to a vibrant artistic scene - Marbella has something for all tastes! There are many different types of property, from beautiful apartments to sprawling villas - many built in typical Andalucian style. 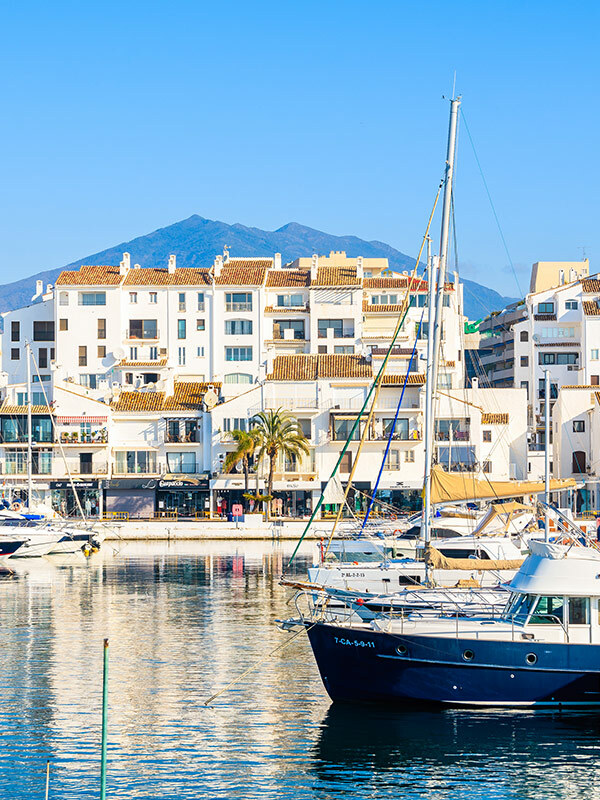 Estepona was originally a small fishing village, but has grown to be extremely popular with tourists and residents alike. You will mainly find apartments within developments in Estepona, but the height and style of each development has been carefully monitored. 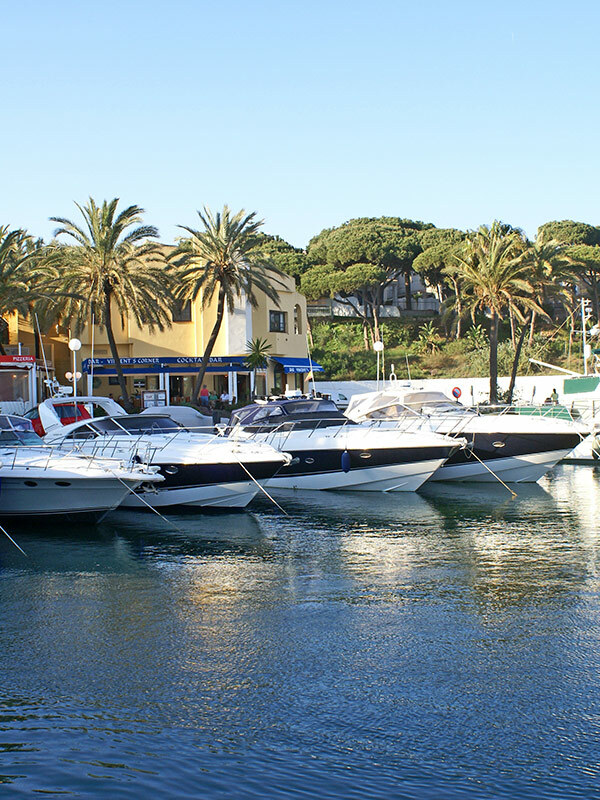 There is real buzz about Estepona´s Marina. Equipped with modern facilities, you can take part in a number of water activities, including Fishing Excursions, and Dolphin Spotting. On Sunday, the marina hosts a very popular market, where a range of goods can be bought. The ´Old Town´ of Estepona is similar to that found in Marbella in the way that you find many bars and restaurants amongst it´s cobbled, whitewashed streets. You can also find many interesting shops, selling craft items. Central property, that is close to amenities and the beach is obviously limited, and when it is on the market, generally sells very quickly. The main beach ´La Rada´ is one of the most awarded along the Costa Del Sol. It has been awarded a Blue Flag for it´s cleanliness and facilities. Nueva Andalucia is the largest residential area in Marbella, which ranges over several square kilometres. It was constructed by José Banús Mas, who purchased the land in 1962. Of course he then went on to build the famous ´Puerto Banus´ which was officially opened to the public in 1968. The main center of Nueva Andalucia, was constructed shortly after. 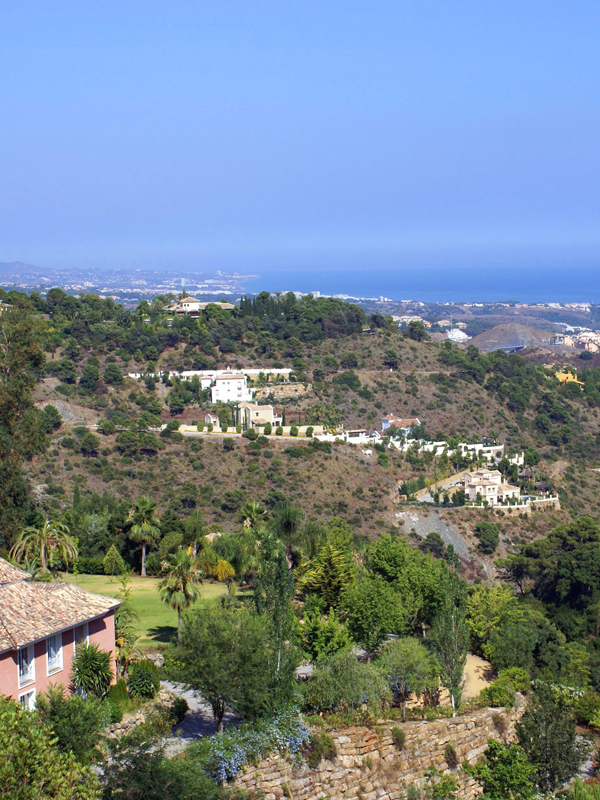 Many find Nueva Andalucia attractive, because of it´s location, and ease of access to the motorway and Marbella. There are also plenty of commercial centres and restaurants in the area. Of course the area is also renowned for it´s 5 championship golf courses - Aloha, Las Brisas, Los Naranjos, La Quinta and Los Arqueros. All of these courses have clubhouses that are open to general public, which allows people to enjoy some of the fabulous bars and clubhouse restaurants that overlook these beautiful courses. You will be able to find a range of mid-range, to high-end luxury properties in Nueva Andalucia. The area feels like a genuine residential area, and not a tourist resort - which is a welcome characteristic for long-term residents. 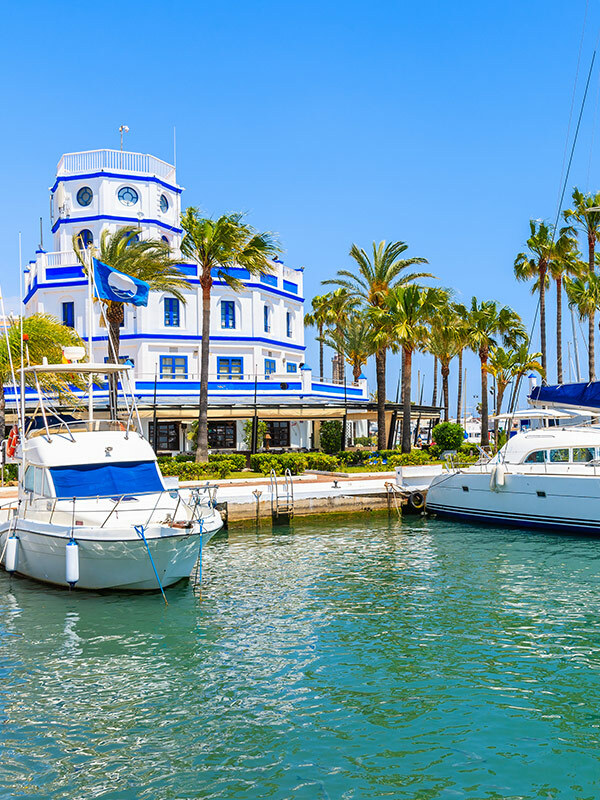 Puerto Banus lies at the end of the famous ´Golden Mile´ in Marbella - home to famous luxury hotels such as The Marbella Club and Puento Romano, not to mention many palatial, private beachfront villas. Apartments, Villas, and Townhouses are still highly in demand in Puerto Banus, as the area is still a luxurious place to live and visit. You can still admire the Ferraris and Bentleys as you relax in one of the many world class, open air restaurants & bars. The area has grown steadily, to include a Casino, and large commercial centre which includes a large El Corte Inglés department store. In fact, shopping seems to be one of the main attractions of Puerto Banus, as you can find all designer brands here in the many boutique shops. 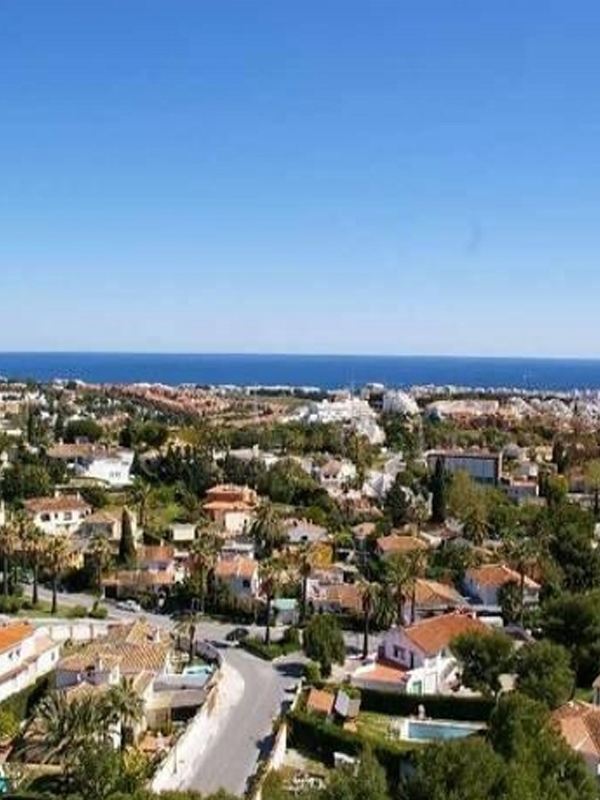 Puerto banus is a great place to invest in property, as you will never find a shortage of clients in the summer months willing to pay the high rental premiums the area can demand. The ´Old Town´ or ´Casco Antiguo´ still retains it´s classic charm, despite the influx of tourists over the years. You can´t help but take in the Spanish vibe as you wander through the cobbled streets, lined with beautiful, well maintained flower baskets. You will find some great places to eat and drink, as well as many eclectic art and craft boutiques. The main highstreet provides all the top names you would expect in any modern city. Property wise, you will mainly find traditional, whitewashed townhouses and apartments - great for those looking to experience a truly authentic Spanish lifestyle. Elviria is approximately a 15 min drive from the centre of Marbella / Puerto Banus, and around 40 mins from Málaga airport.Elviria is known for it´s clean beaches with clean waters, and you find several beautiful properties within walking distance of the famous beach clubs - Nikki Beach and the Beach House. Some of the most popular beachside developments include: Jardines de Don Carlos, White Pearl Beach and El Arenal. Areas that are within walking distance to the beach and amenities include Jardines de Santa Maria or Patios de Santa Maria. Other popular developments include El Manatial, El Mirador de Santa Maria, Los Lagos de Santa Maria, and Las Terrazas - all within a short walk to amenities. Further up the mountain, you will find El Soto, and La Mairena which offer spectacular panoramic views of the Mountains, Sea, and Surrounding Golf, Pine Tree forests. This area is actually a UNESCO World Heritage site, and the beauty of the area will immediately strike you.